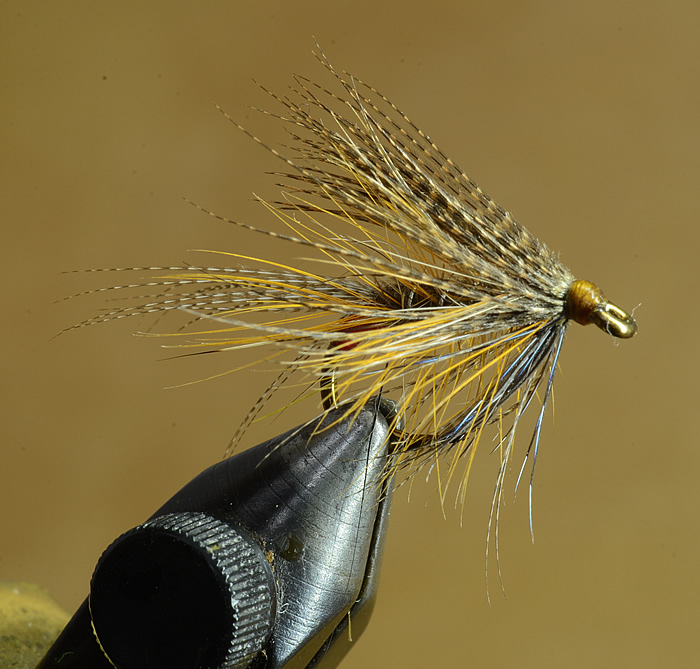 What wet flies for trout are in my box today? 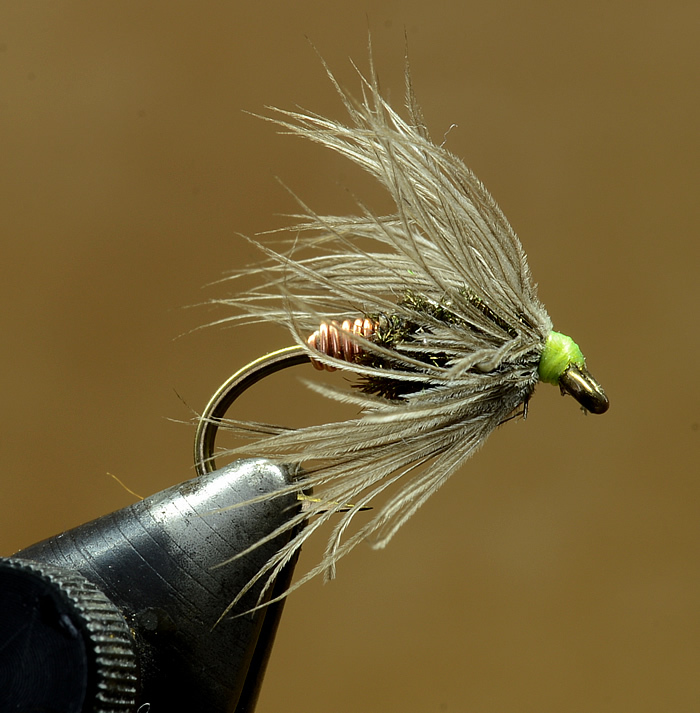 My wet flies are a mash-up reflecting what I have in material and thinking at the moment. So here is a run-down. 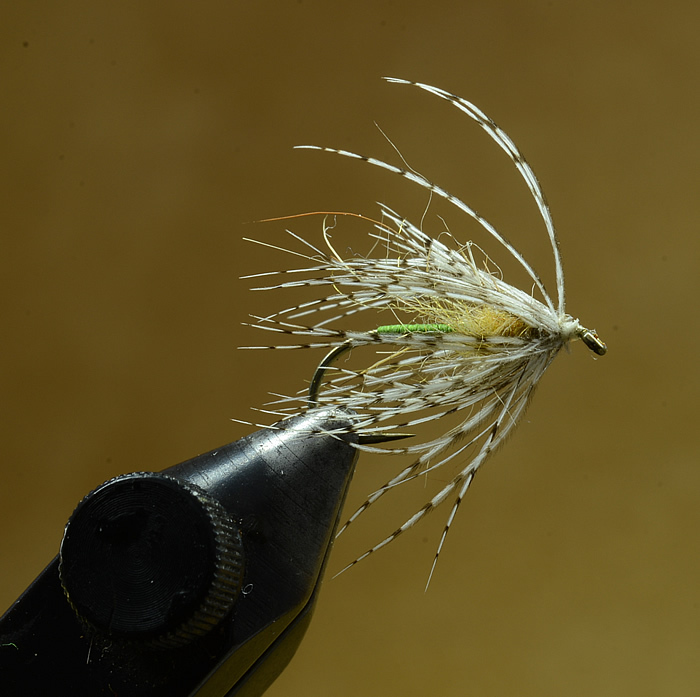 This is a fly I want to learn to tie better and use more often, as it is so the right tones and reminds me of a Lady Caroline in which I would boldly swing through a pool. It is an UK pattern, which I have forgotten the name of. 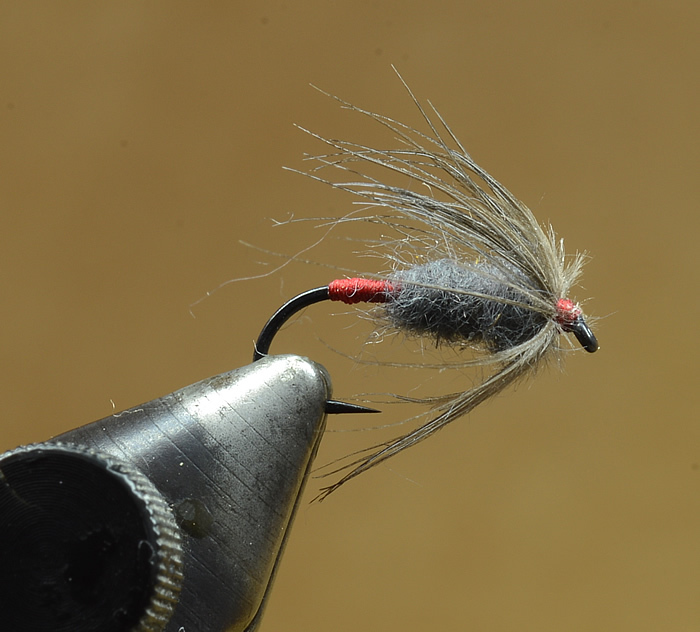 At the opposing end is this Iron Blue Dun (Beaver Dubbing) small light fly using Pearsall’s silk thread and used with little tension on the line – nymphying or swinging or both? This illustrates the differences in thread, with the above with Pearsall’s thread with a rope like quality and below using Danville’s thread and laying it down flat. 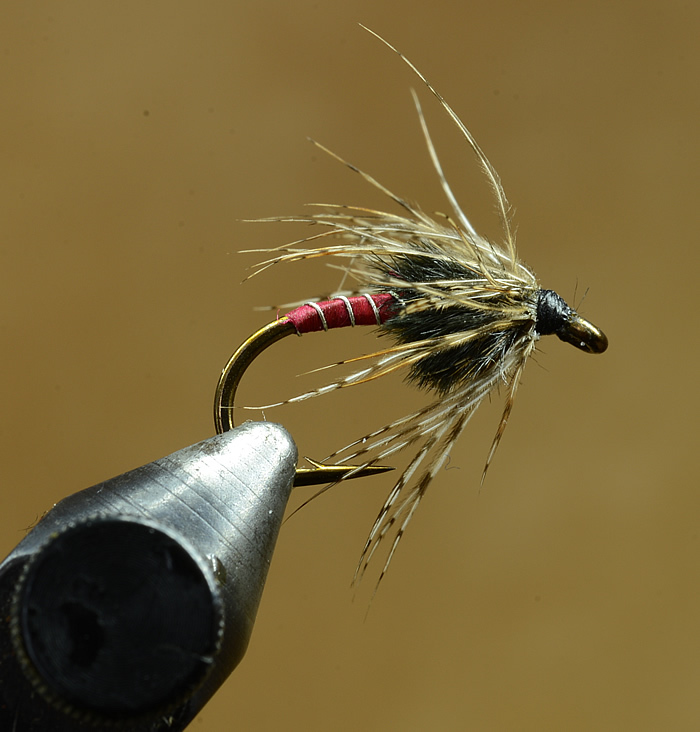 Ostrich not only provides a constrast, but also supports the hackle. And when I want weight and flash, then my copper peacock. 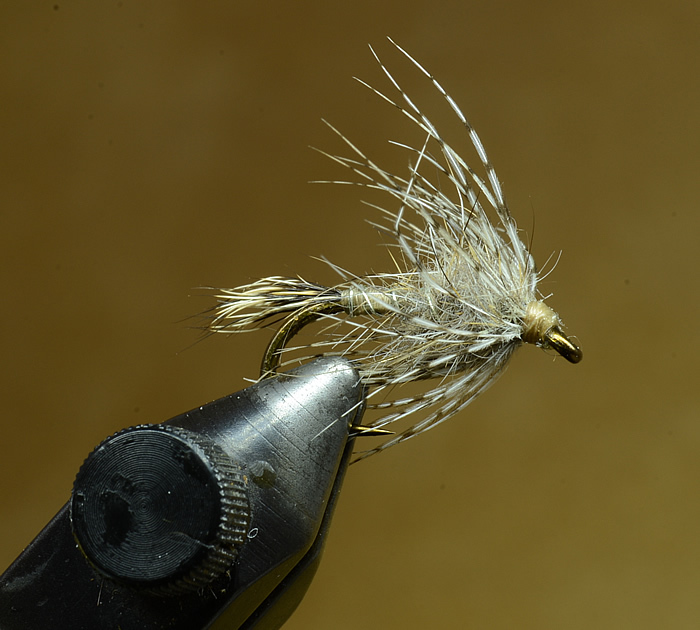 When I can I search for Partridge Skins, so as I can get a hackle like this. Orange is a standard colour for me, and I believe the feather is off a local grouse. So that is it. Beyond the Muddler and the Sculpzilla, these are my standards when dishing with a two handed spey rod for trout. 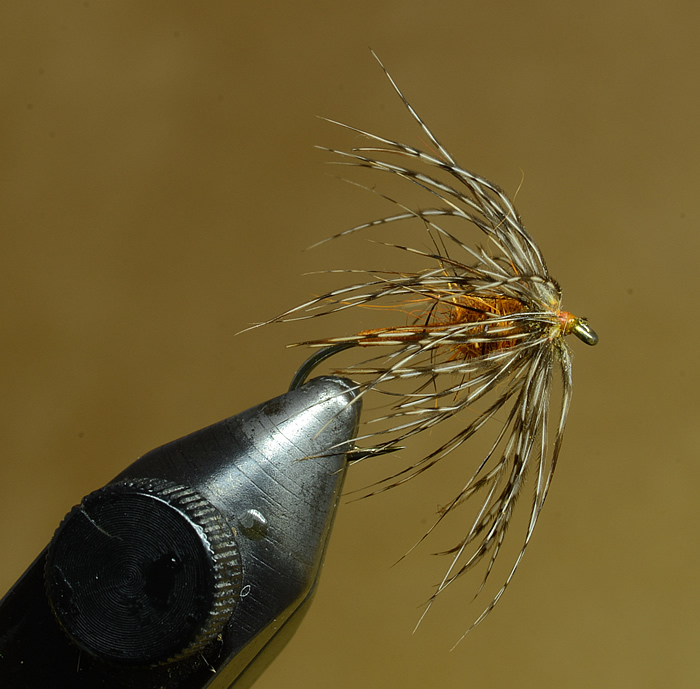 Great tying and flies, but I kind of feel that, while they certainly are fished wet, they come more under the heading of spiders and soft hackles. Just a thought, and semantics aside, they look like they’ll really do the job! Gary, I absolutely agree the vast majority are spider or soft hackles. I guess one reason for this over-simplification is simplfying the tags and references. Also reflects when I started out many decades ago, spiders were given to me, but called “wets”. Thank you for the comment and compliement.